Born September 23, 1928 in Cincinnati, Ohio, Frank Benjamin Foster III began his long musical career at age eleven, when he took up the clarinet. Two years later he began playing alto saxophone, advancing technically to the point of performing with local dance bands at age 14. He began to compose and arrange at 15, and led his own 12-piece band while still only a senior in high school. Foster attended Wilberforce University, then left for Detroit in 1949 (with trumpeter Snooky Young) where he played with such local musicians as Wardell Gray. Upon finishing his military service in 1953, Foster joined Count Basie's big band (replacing Eddie Lockjaw Davis) on the recommendation of Ernie Wilkins. In addition to his full throated tenor playing, Foster contributed original material to the band including the standard, "Shiny Stockings," and other popular songs including “Down For The Count,” “Blues Backstage,” “Back to the Apple,” “Discommotion,” and “Blues In Hoss Flat” as well as arrangements for the entire Easin’ It album. After ten-plus years, Foster departed Basie’s band in 1964, and began working as a freelance arranger and musician providing material for Sarah Vaughan and Frank Sinatra, among others. From 1970 to 1975 he brought his mighty tenor to a variety of situations including the bandstands of Elvin Jones, George Coleman, Joe Farrell and the Thad Jones–Mel Lewis big band. 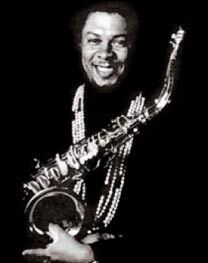 Foster also led the Living Color and Loud Minority Big Bands; co-led a quintet with Frank Wess in 1983, and toured Europe as a member of Jimmy Smith's quintet in 1985. Foster succeeded Thad Jones as leader of the Basie band in 1986, where he remained until 1995. Foster has recorded many albums as a leader, including Here Comes Frank Foster (Blue Note, 1954), Two Franks Please! (Savoy, 1957), Fearless Frank Foster (Prestige, 1965), Manhattan Fever (Blue Note, 1968), Shiny Stockings (Denon, 1987), Frankly Speaking (Concord, 1995), and Swing (Challenge, 1998). Foster is the recipient of two Grammy Awards: the first, for his big band arrangement of the Diane Schuur composition, “Deedles’ Blues, “ (Best Arrangement Accompanying a Vocal, 1987), and the second for his arrangement of guitarist/vocalist George Benson’s composition, “Basie’s Bag” (Best Instrumental Arrangement, Jazz Category, 1988). He also received two Grammy nominations: first, for his big band arrangement of Charles Trenet’s composition, ”Beyond The Sea,” and next for an album with his fellow Basie alumnus Frank Wess entitled Frankly Speaking. Frank Foster is currently celebrating 60 years in music. His career highlights include stints with The Lloyd Price Orchestra, The Lionel Hampton Orchestra, and The Woody Herman Orchestra. In addition, Foster has performed with Johnny Richards, Duke Pearson, and Benny Goodman. Throughout his career Foster has received many writing commissions. He has composed and orchestrated material for The Carnegie Hall Jazz Ensemble, The Detroit Civic Symphony Orchestra, The Ithaca College Jazz Ensemble, The Jazzmobile Corporation of New York City, The Lincoln Center Jazz Orchestra, The Malaysia Symphony Orchestra, The Metropole Orchestra of Hilversum, Holland, and The Thad Jones/Mel Lewis Orchestra. In 1983 Dizzy Gillespie personally commissioned Frank Foster to orchestrate one of the jazz icon’s compositions, “Con Alma,” for a scheduled performance and recording with The London Philharmonic Orchestra directed by Robert Farnon. After resigning as leader of The Count Basie Orchestra in 1995, Foster resumed his leadership of three musical groups, The Non-Electric Company, a jazz quartet, Swing Plus, a 12-piece dance band, and The Loud Minority Big Band, an 18-piece concert jazz orchestra, each of which he had organized years prior to assuming leadership of the Basie unit in 1986. In 2006, The Harper’s Ferry Historical Association of Harper’s Ferry, West Virginia commissioned Foster to compose and conduct a jazz suite to be performed by The Count Basie Orchestra as part of the three-day celebration to commemorate the “Niagara movement,” which relates to John Brown’s famous raid on Harper’s Ferry. Frank Foster suffered a stroke in 2001 that impaired his left side to the extent that he could no longer play the saxophone. As a result he disbanded his quartet; however, he continues to lead Swing Plus and The Loud Minority Big Band on limited engagements, mostly in the New York City area. He also continues arranging and composing at his home in Chesapeake, Virginia, where he resides with his wife and personal manager of nearly 40 years, Cecilia Foster.